Slow Cooker Beef Enchilada Chili has great enchilada flavors and is amazing served with tortilla chips! I was craving chili this week and wanted to make something different from my usual go-to chili recipes. 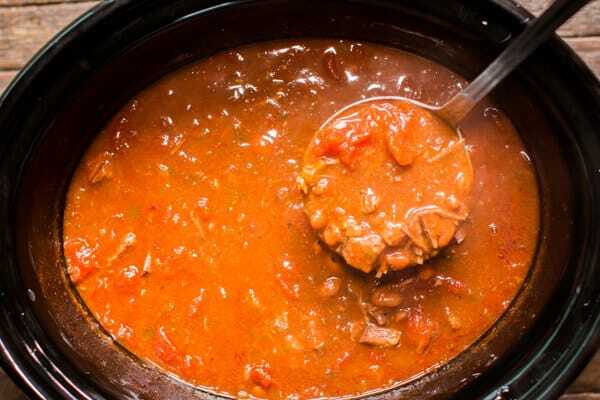 This recipe has red enchilada sauce as a base and uses beef stew meat instead of ground beef. I loved the way this turned out, the sauce had an amazing flavor after cooking all day and the beef was nice and tender. I love stewed tomatoes in chili. A family friend Janet got me started on that years ago. Janet would carefully cut the stewed tomatoes with a paring knife in her hands before adding to the pot. I throw them in whole and use a wooden spoon to smash them after the chili has cooked. I think the stewed tomatoes add more flavor than diced canned tomatoes. I had so much extra time during the day since this chili takes 9 hours to cook that I made homemade tortilla chips. If you don’t want to make homemade chips, find a Hispanic brand of tortilla chips, to me they taste more homemade or like what restaurants serve. Here is my video of this meal in the making. You can follow me on YouTube here. 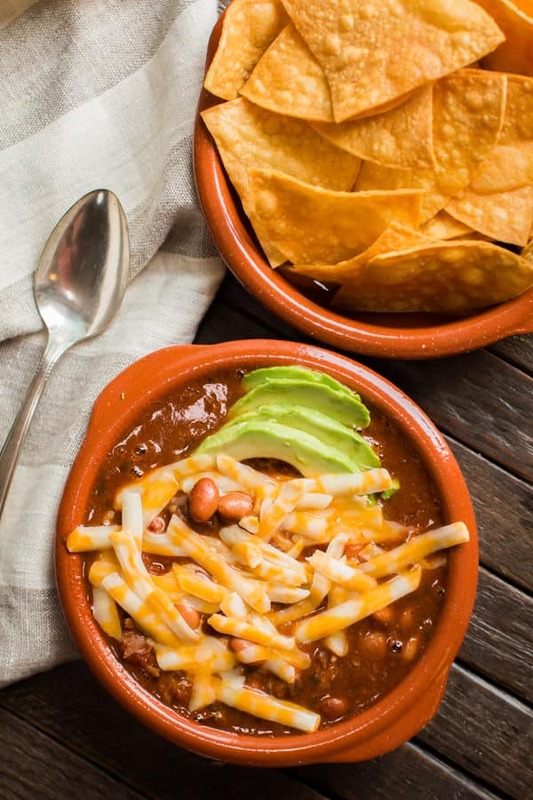 This is a great chili recipe to try! 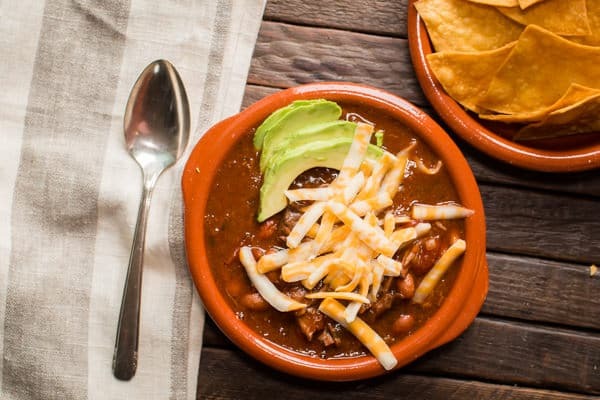 Something completely different from the ground beef chili recipes. Have a great week! 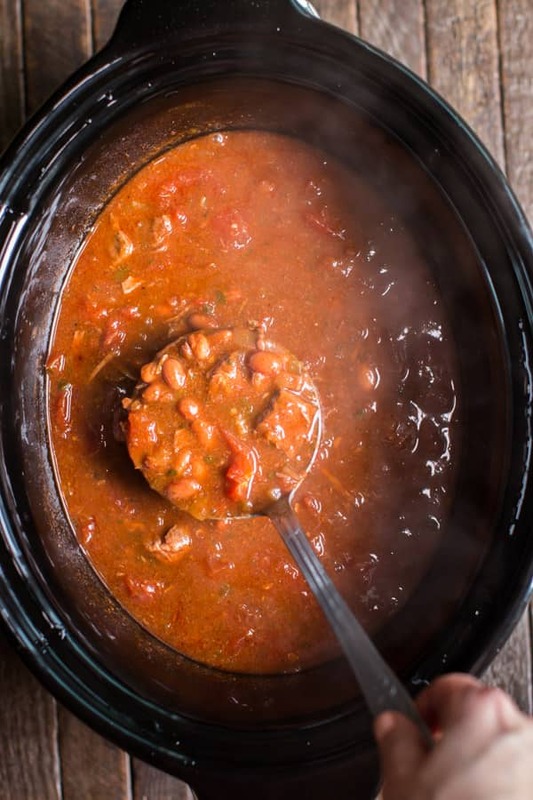 When the cooking time is up if the stewed tomatoes are still whole, you can break them us easily by pressing them against the side of the slow cooker with a wooden spoon. Serve with tortilla chips and cheese if desired. 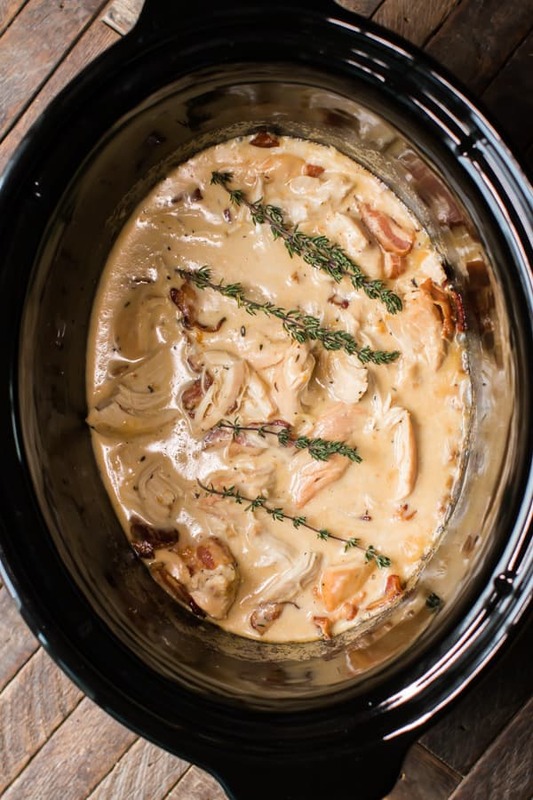 I used my touch screen 6.5 quart Crock-Pot® for this recipe, though a 5-quart or larger could be used.